Versatile pull-style cutting head handles both bevel and straight cuts. Movable stop allows bevel head to cut all 4 sides without re-adjusting stops. Automatic blade lock-down. Gauge prevents overcuts. 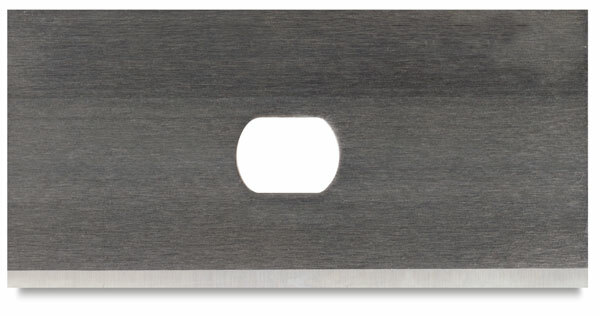 For use with Logan Framer's Edge Elite Mat Cutters, this all-purpose blade is for cutting standard thickness matboard.